Good location. Suitable for family traveling with kids. Good value for such location and facilities. 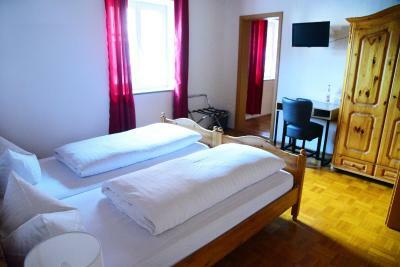 Very friendly owner and stuff, great, even excellent food, big rooms. Nice staff, On street parking - but no problem for a large van . Also , a small car park over the road . Great restaurant/beer garden . Very close for train . 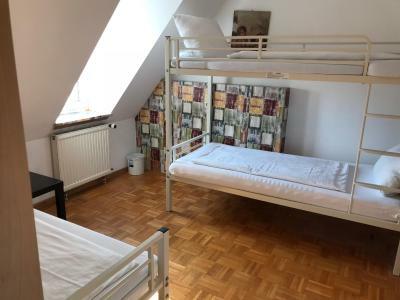 Good apartment close to Legoland (if you have a car). Extra nice people in the hotel. Be careful with the food... portions are huge!! The food in the restaurant is pretty good and portions are large. Very nice place, near Legoland ( 6 km). Wonderful people, delicious breakfast. 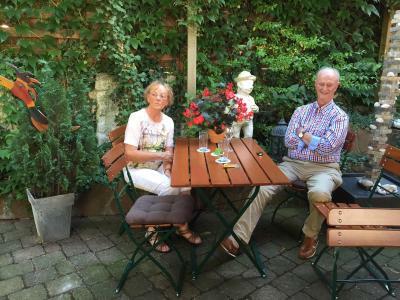 The hotel's beer garden was delightful with very good food. 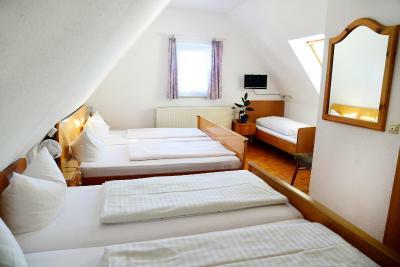 Gasthof und Hotel zum Hirsch This rating is a reflection of how the property compares to the industry standard when it comes to price, facilities and services available. It's based on a self-evaluation by the property. Use this rating to help choose your stay! The Hotel zum Hirsch offers country-style rooms, a Bavarian restaurant and free Wi-Fi on Ichenhausen’s historic market square. The Legoland Deutschland theme park is just 4.3 mi away. Free shuttle service to Legoland is provided. 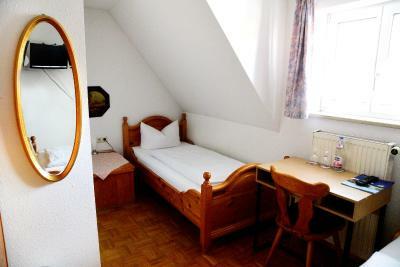 Each room at the Gasthof und Hotel zum Hirsch has a private bathroom and cable TV channels. 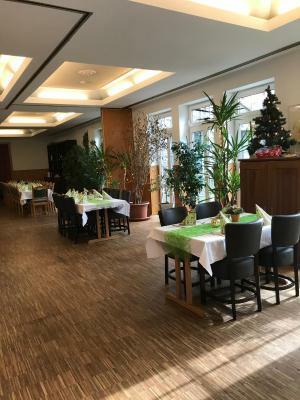 The Hirsch’s restaurant offers Swabian specialties, international food and Bavarian beers. 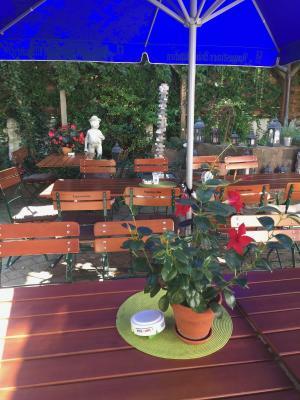 During summer months, guests can enjoy drinks and meals in the traditional beer garden. Further facilities at the Hotel zum Hirsch include a rooftop terrace, fitness equipment and a small library. 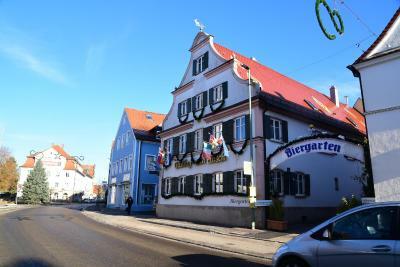 Ichenhausen Train Station is less than 1,000 feet away from the Gasthof und Hotel zum Hirsch. 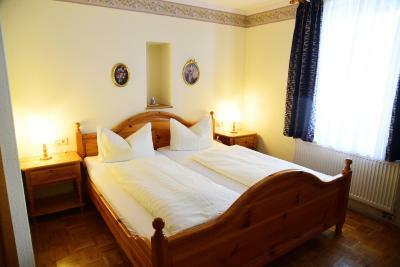 When would you like to stay at Gasthof und Hotel zum Hirsch? 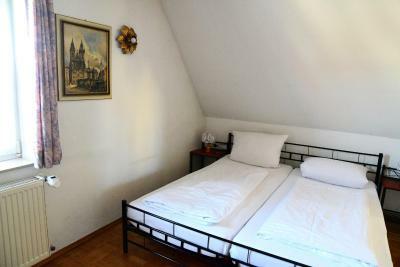 Homelike room fitted with wooden furniture and a flat-screen TV. 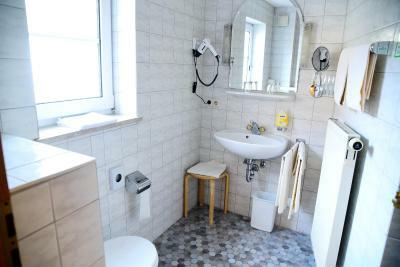 Free toiletries and a hairdryer are provided in the private bathroom. 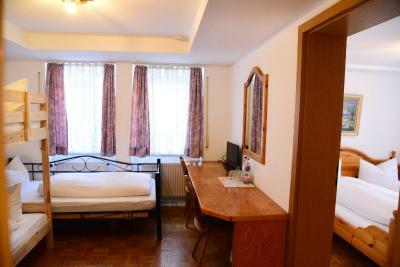 Homelike room fitted with wooden or metal furniture and a flat-screen TV. 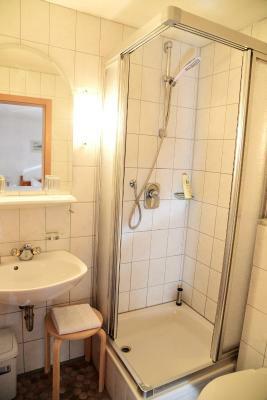 Bathroom facilities are shared, with free toiletries and a hairdryer provided. 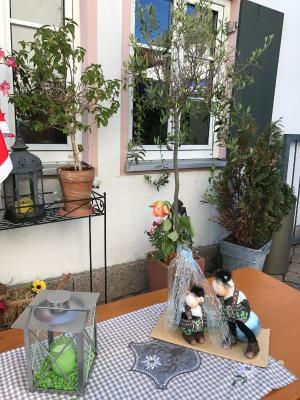 House Rules Gasthof und Hotel zum Hirsch takes special requests – add in the next step! 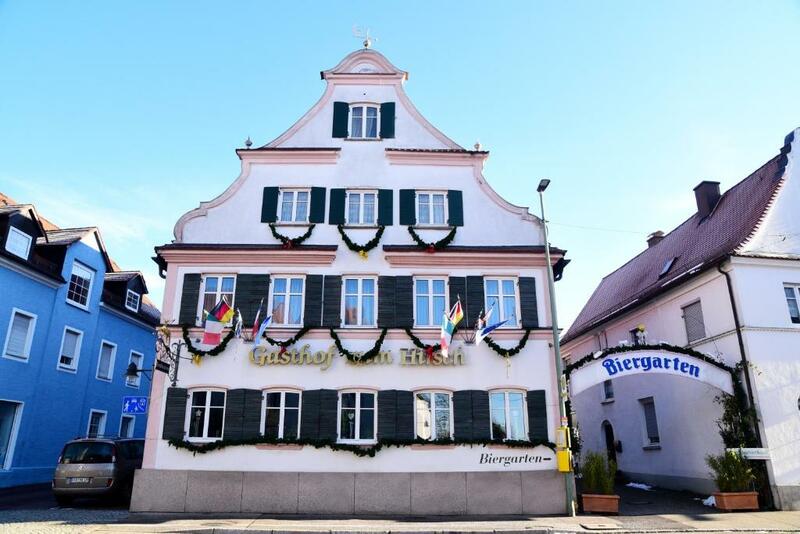 Debit card Gasthof und Hotel zum Hirsch accepts these cards and reserves the right to temporarily hold an amount prior to arrival. 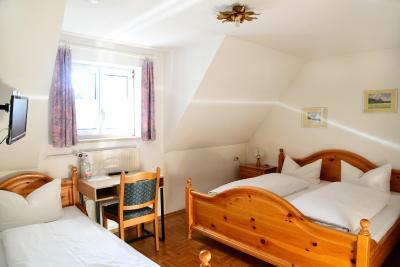 Gasthof und Hotel zum Hirsch accepts these cards and reserves the right to temporarily hold an amount prior to arrival. Free shuttle service must be requested prior to arrival. 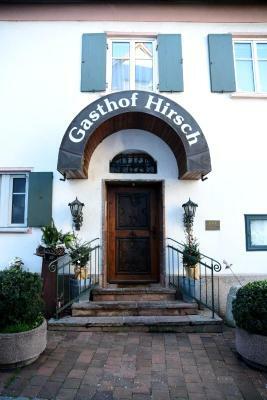 Please inform Gasthof und Hotel zum Hirsch of your expected arrival time in advance. You can use the Special Requests box when booking, or contact the property directly using the contact details in your confirmation. The room was not clean, the bed sheets were used before and not cleaned. We found hair on our blankets and pillows. 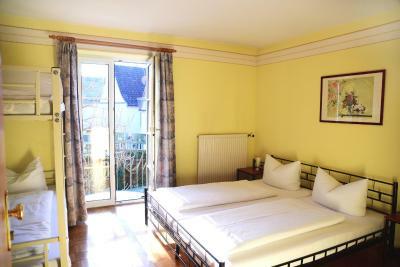 The room is very small for 2 adults and 2 children. 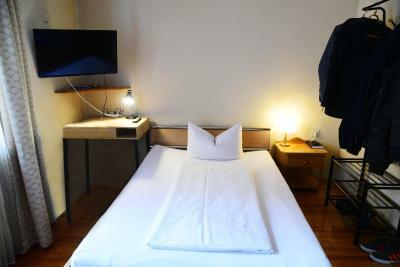 Simple but effective hotel. Very nice staff. Little bit old fashioned, but good value for money. We were pleasantly surprised by the great service we got. The personnel was very friendly with all of us, specially with our kids. We are a big family with small kids and they did everything to make us comfortable. Our room was big and extremely clean, we were able to let our 1 year old twins crawl around. The beds were very comfortable and we had even access to the hotel fridge in order to store some shopping we did before returning home. A great place for families with kids, if you are visiting Legoland this is a great option. We will certainly come back again. toilets could be more cleaner, parking was a job to search every evening. Owner helped me 2 evening to find suitable places. 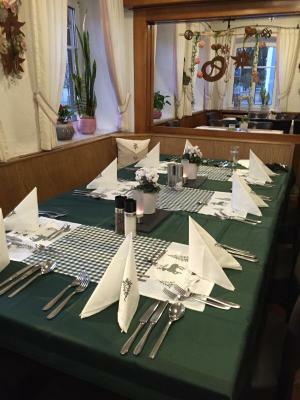 small room to share with 2 families for dinner due to marriage ceremony. 5pm check in , no idea why so late . Also , had a drain problem , so the bathroom was foul smelling . WIFI not WORKING. 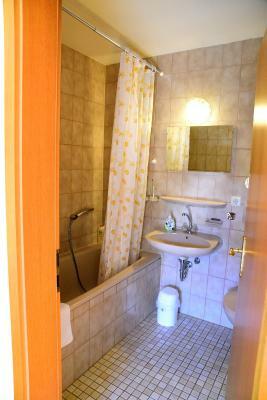 Small rooms. 3 stars is far too much for this hotel. 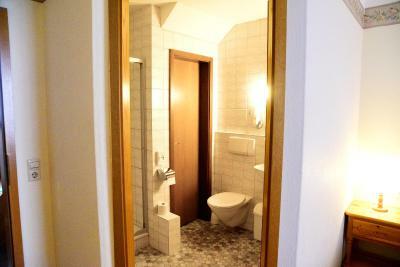 Very small room, very small bathroom, very basic furniture with no wardrobe in the room. The hotel is new but still very basic. 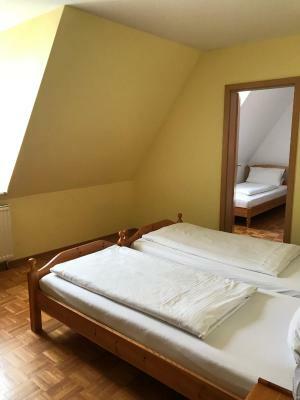 The beds were uncomfortable and the room badly ventilated. It still needs a lot of attention all round.